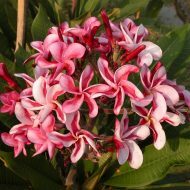 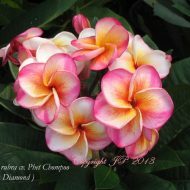 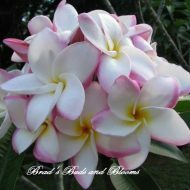 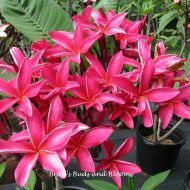 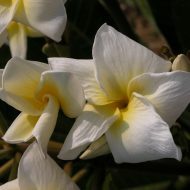 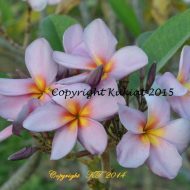 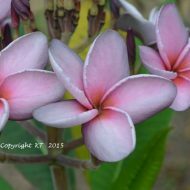 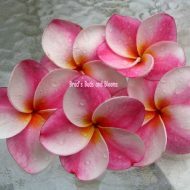 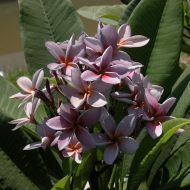 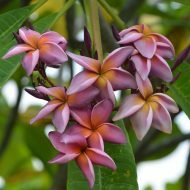 Home	> Shop	> Plumeria	> From Thailand	> Nui Delight- LAST one! 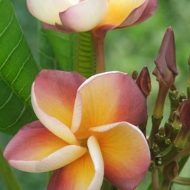 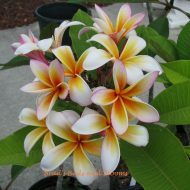 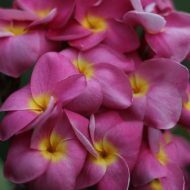 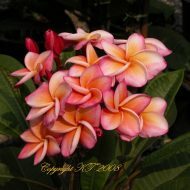 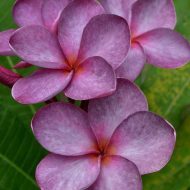 This is quickly becoming a favorite across the plumeria world. 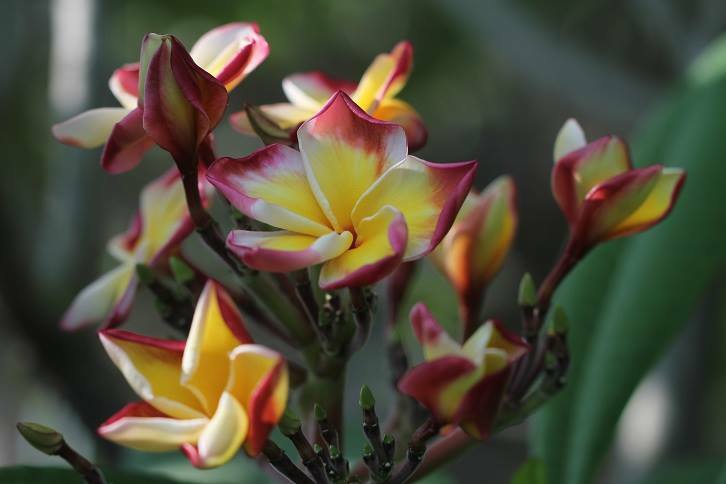 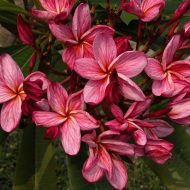 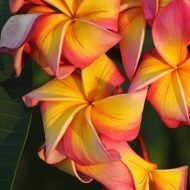 Beautifully pointy tipped petals are colored with gold and sometimes streaks of red-orange. 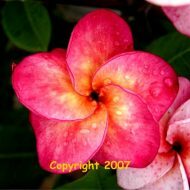 Petal edges tend to be deep red. 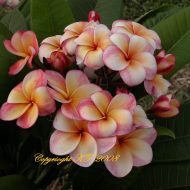 Flowers are appx. 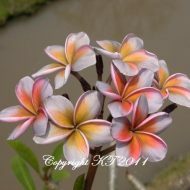 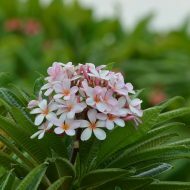 3.5″ and not only are the extremely vivid and eye-catching, they also possess a sweet floral fragrance. 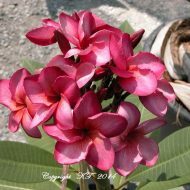 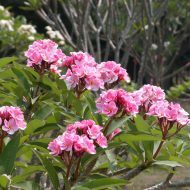 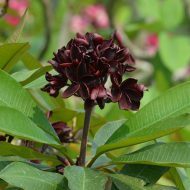 Grafted plant 17″ tall, measured from the soil line.